I decided that my herbe this month would be a herbe that could be used at Imbolc. I was going to do Pine last month, but it just didn't feel right. In my research I found that it is not just attributed to one element but three, the only one missing is water - which it needs to live, so it's almost a 4 element herbe/tree whatever. Invocatory: Astarte, Attis, Bacchus, Buddha, Cybele, Diana, Dionysus, Freya, Jupiter, Mithras, Neptune, Osiris, Pan, Poseidon, Rhea & Venus (just to name a few). Pinaceae are known in the fossil record since the Cretaceous period. 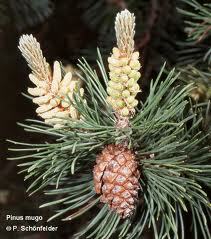 Many folks don't realize the Pine is a gymnosperm and has "dual cones". 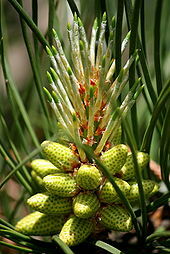 The male Pine has a cone that releases pollen which floats over to the female Pine cone to fertilize it. Those large cones folks associate with the Pine are actually the female cones. Male cones are usually as small as your finger and soft. Pine's green-in all seasons, which calls attention to itself in a world where other trees became bare in the winter. 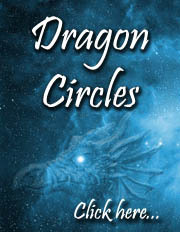 This spoke to the ancients of powers over the cycle of life and death. In primitive Shinto the cult of trees, rocks and springs was celebrated in situ. The objects of worship and the place in which they were found were later surrounded by pines planted to form a sacred enclosure. It was only when such objects as jewels, mirrors and swords cam to be used as symbols of the gods that the need arose to house them in a comparatively permanent place. Sacred to the Druids, the pine was known as one of the Seven Chieftain Trees of the Irish. Pine is referred to in a Native American Micmac Legend of how the world got its first pine trees. Pines have also been believed to be a sacred herbe of the goddess Rhea. The Greeks also are believed to hold pine sacred to Pan, Sylvanus, and the sea god, Poseidon, who fashioned his boat of pine wood. This water deity used pine resin to seal cracks in his boat and provide it with magickal protection. The winner of the Greek Isthean games were reportedly awarded with wreaths of pine or dried parsley. The pine cone is an emblem of Zeus and Artemis, Jupiter and Venus; it was also associated with Mithras. Pan seduced the nymph Pitys, who preferred him to Boreas, the North Wind. Boreas flung her against a rock in a jealous fury, crushing her limbs. In pity Gaea transformed her into a pine tree. Hercules was cremated on a funeral pyre of pine wood. The Corinthians made two images of Dionysus from pine; also, Dionysus' thyrsus is tipped with a pine-cone. In Greek myths, Attis was a young shepherd known for his beauty and his romantic spirit. In one version of the myth, he fell completely in love with the goddess Cybele (who is an aspect of the goddess Rhea), and when his passion was not returned, he castrated himself beneath a pine. Temples to Cybele were set near pines where her priests, known as Corbantes, lived as sacred eunuchs who used music and dance to achieve states of divine ecstasy. In another version, he was killed by a boar, like Adonis. After his death Attis is said to have been transformed into a pine tree. There is a statue of him in the Lateran Museum at Rome where he is wearing a wreath of pine cones, pomegranates, and other fruits. Pine needles may be dried and ground to be included in loose incense mixtures or made into pastilles or sticks; scattered on the floor, they are said to drive away evil; they are also used in cleansing baths. The wood may be powdered or the resin dried and used as incense. Pine has the ability to cleanse a space of negative energy. 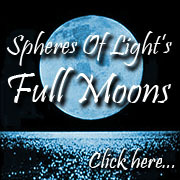 In not only purifies but can send dark forces back to their source. Pine branches are placed over invalid's beds to help them recover, and over a well person's bed to keep illness away. In Japan a pine branch is hung over the door of the house to ensure continual joy within (because Pine is an evergreen). Native Americans reputedly burn pine twigs, along with cedar and juniper, for ritual smudging of the sweat lodge, and to purify the spirits of the participants. The pine resin makes good incense. The sawdust can also be used as an incense base. In Eight Sabbats for Witches, the Farrars recommend using a pine cone attached to the end of a thin branch for a ritual wand of a particularly phallic nature when celebrating Candlemas. The cones are carried to increase fertility and for a vigorous old age. Because of its use by Poseidon for his boat, people who enjoy sailing might work with the protective magick of pine. 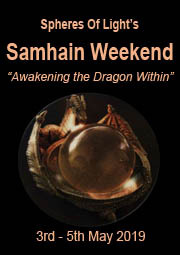 The essential oil is also a great scent for those who do dragon magick, as the fast-burning pine is associated with dragons in China, where these magickal creatures are especially esteemed. A medicinal oil is extracted from the needles which is a good anti-septic and analgesic. Pine is used in the Bach flower remedies for those who blame themselves for everything and are never content with their efforts or the results. The oil is used in aromatherapy as antiseptic, anti-viral, bactericidal, deodorant, and a diuretic; it is useful in cystitis, urinary tract infections, colds, coughs, and respiratory tract infections, arthritis, gout and poor circulation. The pine tree yields pitch tar, resin and turpentine. The timber is used in construction for joists, rafters, flooring, windows frames, etc. It is also used for pit props, telegraph poles, gate posts, crates, coffins, sleepers, and paper pulp. Needles from the Eastern White Pine tree (Pinus Strobus) are high in the vitamin C you need for optimum health in the wilderness. Consuming pine needles or brewing pine needle tea is a great preventative and cure for scurvy caused by lack of vitamin C in the diet. The soft, moist, white inner bark (cambium) found clinging to the woody outer bark is edible and very high in vitamins A and C. It can be eaten raw in slices as a snack or dried and ground up into a powder for use as a thickener in stews, soups, and other foods, such as pine bread. Native Americans included the inner bark of pines and other trees as an important part of their diet. Early foreign explorers of North America recorded finding acres of trees stripped of bark for food by the local inhabitants. Easily obtainable in large quantities all year round, storable, and very nutritious, at least one famous tribe is well documented as making bark an important part of their diet. Their very name "Adirondack", a tribe in the mountains of upstate New York, means "bark eaters" in the Iroquois language. It is said that the Adirondacks ate bark out of dire necessity, only because they were often starving during long cold winters when game was scarce and little in the way of other food could be found. It is more likely the Native Americans relished the taste and nutritional value of inner bark and considered it a welcome part of their diet whether or not other foods were available. That the Adirondacks ate a large amount of bark during the winter is likely due to its easy storability more than anything else. The misreading of the habits of cultures foreign to one's own is very common. If eating bark is a strange concept to you and you observe another culture doing so you may very well conclude they are eating bark because they are starving and have nothing else to eat. The kernels of the cones (called pine nuts) can be eaten, and are a good source of protein.